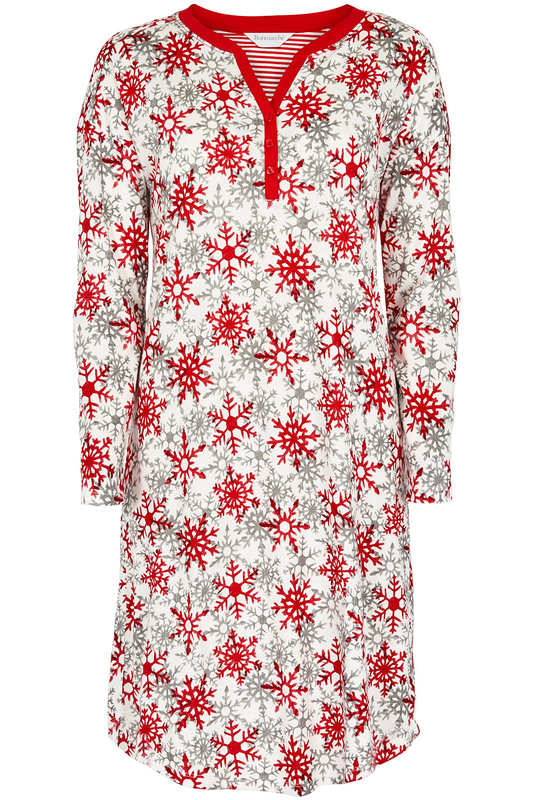 Feel cosy when the festive season rolls around in this comfortable, pure cotton nightdress. The long sleeves and knee-length hem keep you warm, while a button-up V neck creates a subtle feminine shape. 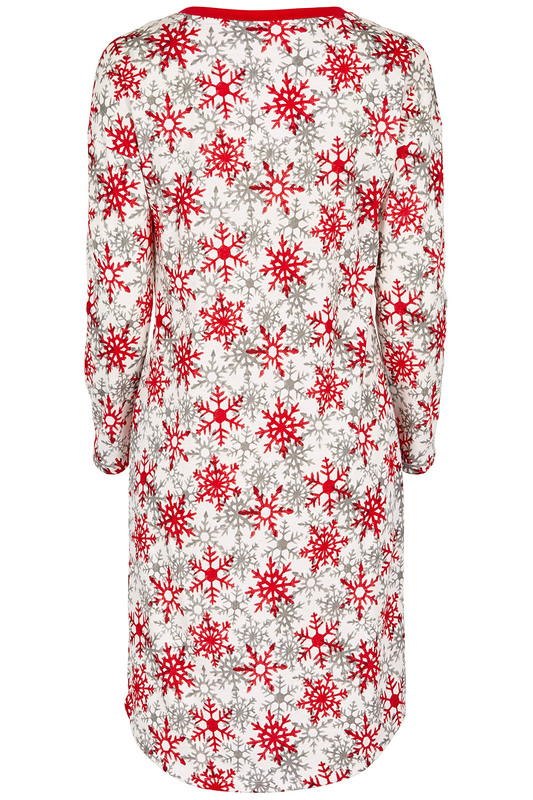 Embrace the Christmas spirit and pull on this design decorated with an all-over red and grey snowflake print. On crisp mornings, pair yours with fluffy slippers and a thick dressing gown.